The I-TUTOR project team would like to show you the creative process behind the project work. We conducted short interviews with various contributors to offer you a unique view on the I-TUTOR development. 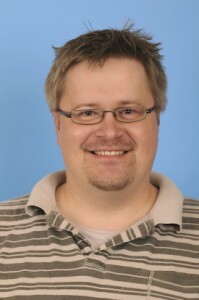 Our first interview is with Dr. Karsten Lundqvist from University of Reading, UK. When developing data mining tools I always see myself as a “detective”. I am investigating data to try and find common features or indeed outliers within the pool of data. We had some pools of data to begin with, however the structure of the data from the different pools were so significantly different that it was impossible to find commonalities. Educational data might be like that, due to the different styles of teaching/learning that happens in real life. Therefore many standard data mining tools could not be used to develop the I-TUTOR tools.